Whether you are heading to another city or state for pleasure or business, there are several benefits that come along with renting a car. AUZ Rental Cars is a reputable car hire agency in Tullamarine that rents vehicles to customers based on their requirement. With more than a decade of experience in this industry, we have the right expertise to assign you the best car for your transit. Most of the time, we serve consumers who are looking for a mode of transportation when they are on a business trip, holidays or some other reasons. Using public transportation is not a viable option for most people due to the determined schedule and cost. If you are traveling on a budget and are following a specific schedule, then it is worthwhile to choose car rental Tullamarine. When you travel from any other city or state, you may not have your own vehicle with you. This is where car hire becomes necessary. AUZ Rental Cars have a variety of vehicles ranging from compact Sedans to mini-buses to choose from. If you are traveling alone, you can book our compact sedans, but for a large group reserving a minibus is necessary to accommodate all the passengers. Our cheap car hire in Tullamarine comes with extra products such as GPS units, child seats, insurance plans and so forth. We also provide other offerings such as no vehicle registration recovery fee, no extra driver fee, no senior driver surcharges, and no credit card fee. We also reduce your car hire liability to zero. Moreover, we also offer considerable discounts on long-term rental. All our features are designed with the intention of providing car hire Tullamarine within your budget means. 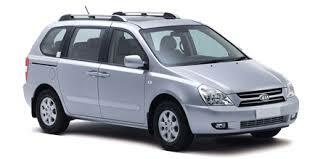 AUZ Rental Cars strictly adhere to high standards in delivering our services. We have gained immense reputation from our customers for our affordable and prompt services. Our chauffeured service is highly appreciated by our clients who enjoy a warm welcome on their arrival. With reasonable pricing, big collection of vehicles and quality customer care, AUZ Rental cars stand out from the crowd. Whether you are traveling solo for a business meeting or traveling with your family on a holiday, just explore car for rent in Tullamarine from AUZ Rental Cars.